The business of catching snakes for their venom is on the rise, providing livelihood to a number of people who are ready to put their fear of the dangerous reptile aside in Pakistan. 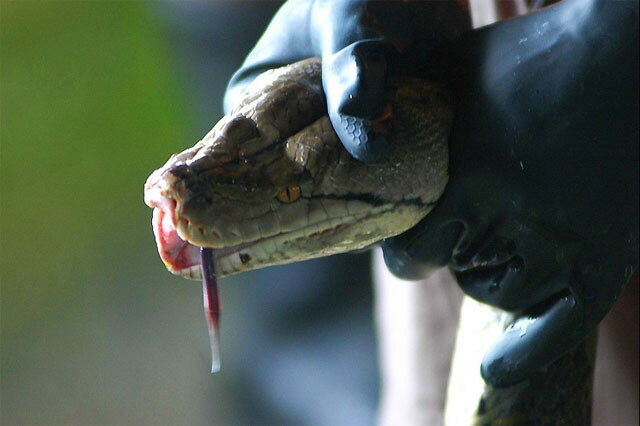 Snake catchers bring different species of the reptile from various cities in the Punjab and sell them to those who make medicines out of the snake’s venom. Shahid Mehmood alias Billa, a resident of Lal Pul area in Lahore, has around three dozen snakes including rare species of Two-Headed snake and Black Cobra. He says most of the snakes are caught from Border and other localities in the city. Sometimes, when he and other snake-catchers are lucky, they get dozens of snakes at one go, said Mehmood, adding that residents also inform them about presence of snakes in some areas of the city. The young snake-catcher maintained that he has been doing this business for several years and now his students have also become part of this business. 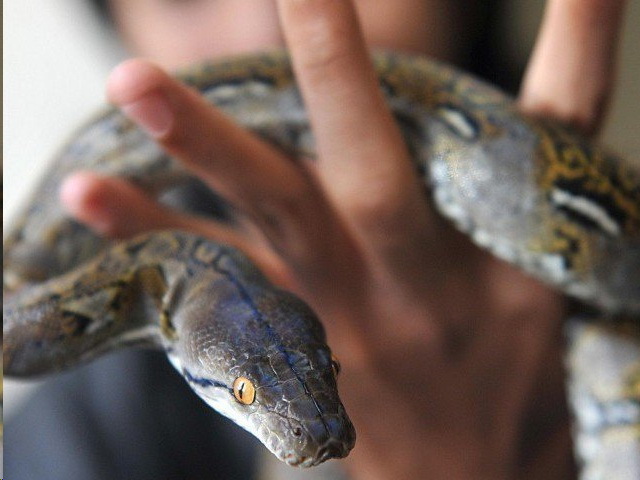 “Snake catching is a dangerous business and rewards are not very encouraging as well,” he said, adding that the Two-Headed snakes are sold from 400 to 500 rupees, Water snakes for Rs 300 and Black Cobra is sold around from 1,500 to 2,000 rupees. He said the price of Python is more than the others but it is difficult to catch and normally they find Thread snakes that eat the pupae or eggs of ants and other insects. Mehmood said professional snake catchers are now replacing the traditional ones. These professionals exhibit their reptiles at big hotels and earn thousands from it. Traditional snake catchers earn peanuts in comparison, he added. The snake-catcher said that people should be educated about these species. They should be aware that not all the snakes are dangerous but only a few are venomous, he added. There are a number of people in Lahore who use snake’s venom for medicinal purposes. Mehmood said snakes live for a maximum of 40 years, dismissing myths attached to the mesmerising reptiles. According to wildlife authorities, snakes are not included in the protected species list but snake-catchers have to get a license in order to catch snakes. But interestingly, everyone including Mehmood in the business does not have the license.